PAPAVER SOMNIFERUM, A FRINGED FORM GROWING IN LAST YEARS GARDEN - I AM SOWING THESE THIS WEEKEND. 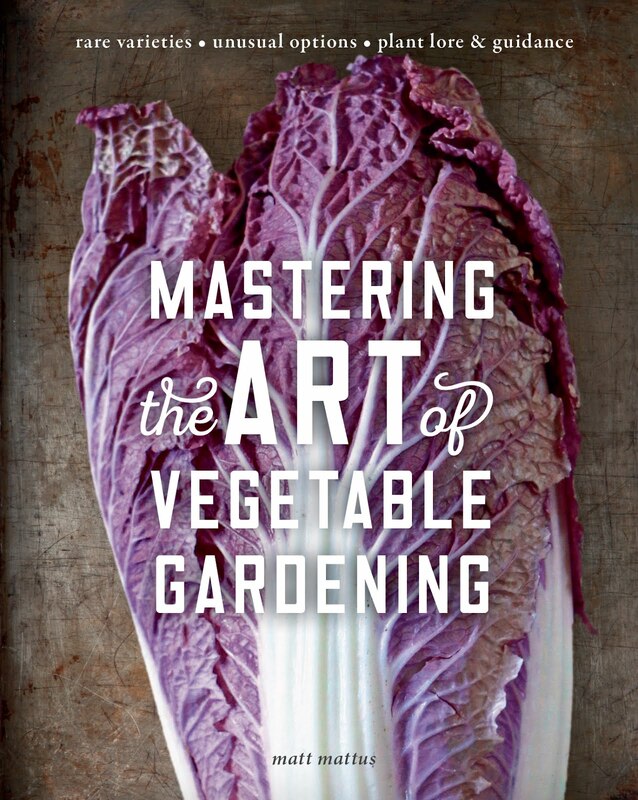 As the popularity grows with seldom-grown annuals - the sort rarely found in garden centers, and those so essential in creating a more authentic and rarely seed 'cottage garden', our skill in learning how to master growing such annuals ourselves, has risen. Take poppies for example. I have fond memories of poppies, for as a child, my mothers' gardens here at the old homestead large clumps of Papaver orientale, the omnipresent orange and black Oriental Poppy so common in old, New England gardens. Nothing special, botanically speaking but still pretty. Still, these are not the poppies many new gardeners envision when they think about growing poppies. Poppies are back, at least from a style perspective, but the truth is, they are not particularly easy to grow, and there is little reference out there for beginners. I've been spying poor advice or generalized information on some sites and blogs, so although I am not a poppy expert, I have grown many species and types of poppies over the past 40 years, so maybe it's time for a Poppy 101 refresher course. 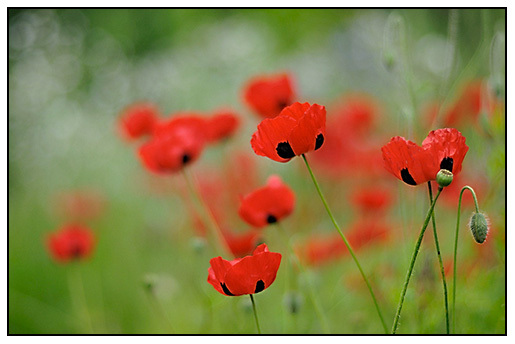 Visually, poppies appear similar, at least the flowers do. Thin, tissue paper thin petals, bright colors, a tuft or tassle of stamens, and usually a significant seed pod. Basic poppy form - but without going into great detail, there are some basic poppy facts that you should know. With over 100 species known, only a dozen or two are grown commercially. We owe much to the Papaver family, most notably morphine, Opium, Codeine and of course, poppy seed bagels. But beyond that, they can make striking flowers. If you are a new gardener, I will make some assumptions - when you envision growing poppies, the stiff stemmed Oriental poppies with prickly leaves and stems are not what you are thinking of - most likely, new gardeners imagine fields of poppies, with thin, wirey stems and pastel or coral flowers, or large, flouncy tissue-paper blossoms on wirey stems, often with gracefully nodding buds in English borders or in cottage gardens. You might also think of meadows of poppies, red specs in a French painting, but most likely, you are not envisioning bright cinnabar orange and black oriental poppies - eew. Too harsh. So, some basic Poppy 101 information. 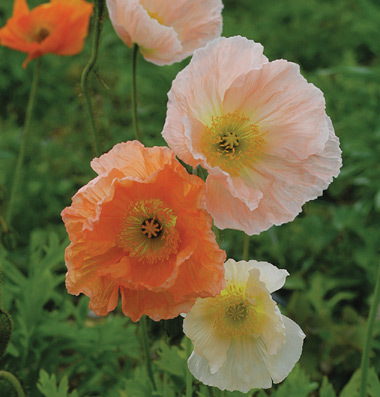 The poppies you see sold in garden centers in 4 inch pots that come in colors like yellow, white, pink and orange on wirey stems are Icelandic Poppies. Not easy from seed, these are best purchased in the early spring, and in most gardens in zone 5, they will bloom until the weather gets hot ( which means about 4 weeks of bloom here in Massachusetts, and then, they are gone. Most people want to grow perhaps the most beautiful poppy - the 'Bread Poppy' or 'Opium Poppy' - Papaver somniferum, or more commonly now sold by seed catalogs as P. paeoniflorum to avoid legal issues due to some restricting sales due to the amount of opiates in this species. Properly, this group should be called Papaver Paeoniflorum Group, with some varieties referred to as P. lacinatum, since they can have flowers that are fringed. The large flowers on this magnificent yet short-lived plant look exactly like tissue paper pom poms. The colors are gentle, encompassing the full range of pinks, with some dark maroon, almost black, and tea-stained colors like beige, buff pink and striped fringed varieties. Think -Claude Monet, Camille Corot or red Flanders poppies in the vintage travel posters of France, Italy and Spain. These lovely wind poppies of the meadows and farm fields of Europe are familiar to everyone. Now found in wild-flower seed mixes in the US, this is truly a European wild flower, often seen in grass fields throughout much of Europe. In the home garden, like many poppies, P. rhoeas are best is sown in situ, and carefully thinned to about 4 inches apart. But these are odd plants, ones which require grass or neighbors close by to help hold them erect. In Europe. these were once frequently seen in wheat fields but with the introduction and popular use of herbicides like Round-Up, they are becoming a rare site. 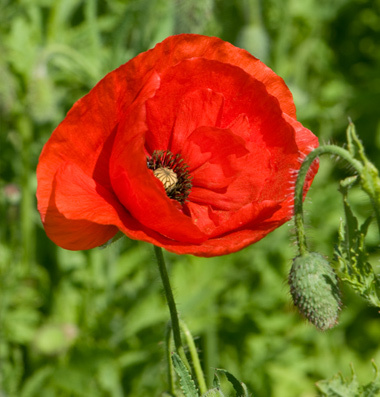 This is the poppy that after WWI, was often seen represented as little red crepe paper flowers to commemorate Memorial Day, and the red seen in the battlefields. The legend is that after the war, the battle fields were red with corn poppies, due to the fact that heavy artillery had disturbed seed hidden deep in the soil, where it laid dormant for years. Seed can be sown in autumn in mild areas, or in early spring. Not as impressive as Opium poppies, these are best used in mixed planting, often in rock gardens, or in patched in a perennial border. Results are rarely what you imagine them to be, unless you live in the North West, or in cool, northern states, most every poppy beyond Oriental Poppies or P. somniferum, will sulk. Bred from the P. rhoeas above, the story goes like this - In 1889, Reverend W. Wilkes discovered an odd single specimen in a field of red and black Flanders Poppies growing in a village in England named Shirley - he found a blossom with a white center, which he carefully bred through selection into a fantastic color mix with pastels and brights. Coral, pink, raspberry, peach, grey and ivory poppies were soon available. Then, double forms appeared and the rest is history. Cedric Morris also played around with P. rhoeas which resulted in a very nice strain now sold as Papaver 'Sir Cedric Morris'. With a palette built out of the palest colors, this strain is still available in many seed catalogs, but I can never seem to find it, as it is often sold out. This is THE strain for strange yet lovely smokey greys, muddy mauve and grayish lavender. A strain that can almost substitute for this hard to find mix, is 'Mother of Pearl'.If you re lucky, these will self sow, but that is a rare occurrence in my garden, so I sow late in the autumn if I can remember to order the seed early in the spring and hold on to it! PAPAVER COMMUTATUM photo by this person, myu myu. Grown for nearly 100 years in gardens, this species was discovered in 1876 by William Thompson, one of the original founders of the British seed company Tompson & Morgan. If you love red poppies, this is the reddest. Native to Iran, Turkey and Russia, this poppy so closely resembles P. rhoeas, the Flanders poppy, that many people confuse the two. Most gardeners dislike red poppies in typical borders and plantings, but prefer them in meadow mixes, with spots of red dot a grassy meadow, which is indeed where these often loom most natural. 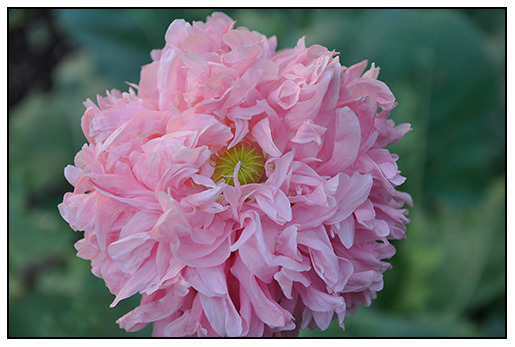 Not very hardy, even though this poppy comes from cold areas, this is best grown in cooler areas with mild winters. My mom grew so many Oriental poppies in our large vegetable garden here while I was growing up, and these black centered flowers are what I remember first as the iconic popper long before I started gardening. Many old homes in New England have different types of Oriental Poppies in their gardens, for just like Daylilies, they are long lived perennials which dislike disturbance, because of their tap root. So as long as you don't try to move them, you should be fine. They can be moved carefully with deep digging, by they will sulk for a few years. Some plants in our garden are over 80 years old. Plants are best purchased as young perennials, or grown from seed and carefully planted out where plants will last a lifetime if they are never moved. Seed can be stubborn, but if you purchase pre-chilled seed ( from Jelitto Seed in Germany - you will have more plants that you will need). Never order plants from the value catalogs, or anywhere that will see bareroot plants, for these will never be as robust as those grown in pots. These will only bloom once- for a week in May, but generally at the same time as Peonies. When I told Joe about this post last night while we were driving to the market, he looked up from checking Facebook on his phone to add ( which her rarely does) " Don't forget to mention that little orange poppy that grows at the end of the stone walk". For what ever reason, we have a clump of P. rupifragum that came up in our stone walk. right in the gravel ( probably a self seeded plant from the alpine garden) but it's true - this little sweetie is a favorite of ours. A most unusual color, and quire unfriendly from a color palette perspective, but it blooms and blooms, so we can't help but love it. Order seed from Jelitto seeds. Sow in the rock garden in well raked gravelly soil, plants will be small but sturdy and long lived. When ever we go hiking in the Dolomites of Italy, in the Alps, we see this beautiful yellow poppy in bloom. A June bloomer ( sometimes July at higher elevations) this sweet yellow, small and truly perennial miniature best for rock gardens, and another one of my favorite poppies. Delicate, small and sweet. These bloom in white or yellow. Generally speaking, poppies are all quite similar in culture. They love cool nights, and cool summers, which is rare in the US latesly, unless you live in Canada or the Pacific North West, most poppies can be challenging. Poppies require some basic knowledge to grow well, but I believe that if you are to bother at all with growing poppies, then start with annual expectations, for many poppies are true perennials or biennials, the cool growing forms can be started in early spring and treated as annuals, if you are lucky and the spring and summer stays cool ( not this year! But I am still betting on a cool summer, hoping that this record breaking warmth of the past 8 months will change soon!). Papaver somniferum are the most impressive annual poppies to grow - follow directions, for one cannot be careless in sowing and cultivating these beauties. They take extra care and attention. Cool temperatures are best, which is why one sees beautiful stands of these poppies in Maine, and Canada, or in coastal England. These are tap-rooted, tender plants, and one can only grow these if the tiny seed is sown directly where they are to grow - in raked, tamped soil, sowing in March or April as thinly as you can. Do not cover the seeds, for light will help them germinate, and at first, they are tiny! Forget about transplanting seedlings, but I have done so when plants are very small, using a large shovel to carefully lift an undisturbed block of firm soil, to only slide the block of soil into a prepared hole without disturbing the seedlings. But such moves are risky, and failure is all but certain if any root damage occurs. Remember, seed is small, so mixing seed with sand and then sowing will allow the seeds to be well spaced. Only a careful thinning will be required. Once seedlings are established, plants will grow with impressive speed, providing blooms in just two months on 4 foot plants, from a March sowing. True annuals, once the blooms fade, so too will the plants, so have a back up plan for poppies yellowing in the garden are not pretty. It will take some practice to learn what poppy seedlings look like, but with careful weeding, and editing of plant, these fleshy stemmed plants do require a little care. First, one might believe that due to their crunchy leaves and stems, that these plants might like water - but in fact, these are plants that prefer fast draining soil, and they will rot if they become too wet. That said, they also do not want dry conditions, so well watered soil, that drains quickly is best. Not as easy as it sounds, but I add sand to the soil where they are to be planted. Secondly, these plants like healthy, rich soil, but resist using high nitrogen fertilizer - a mistake many people make, since young plants look so tender, and weak, and they are fast growing, so one assumes that a liquid feed with Miracle Gro or 10-10-10 might seem smart - it is not. 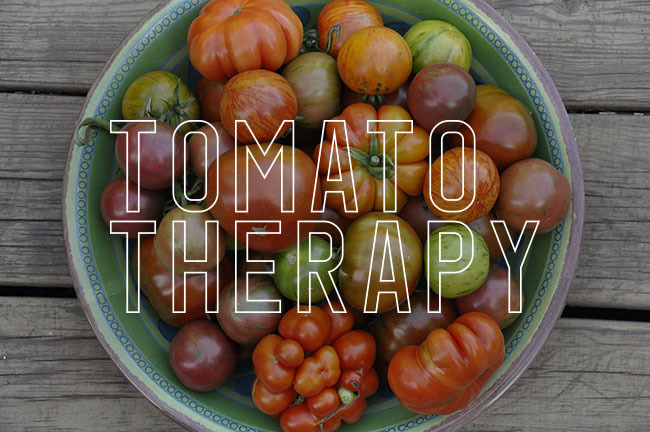 Use 2.5.5. fertilizer - higher in phosphorus and potassium is best ( tomato fert. ), and you should be fine. Once the weather begins to warm , in early July, the leaves will quickly take off into 4 foot tall monsters. Allowing plants to set seed ( for there equally stunning seed pods) is not for the faint of heart, for the plants will need to yellow and will look awful for weeks in the garden, but the reward will be dozens of self seeded plants the following spring, as long as you don't mulch, or work the soil much. So as you can see, the ideal conditions are not always as ideal as we all imagine. Pretty much all of the California coast is the perfect climate for all the annual poppies. Papaver somniferum planted out in winter become multi branched shrubs in spring covered in flowers. I couldn't believe my eyes the first time I saw one here. I planted a few in February I just hope we get some more rain and cooler weather so they can reach their potential. Papaver commutatum is another winner here growing a few feet across and covered with 30 or more flowers at a time and blooming for months. The only ones we can't reliably grow are the oriental type which I believe require a longer period of winter chill. Anyway very cool post. I love them all and think they are great companion plants to plant in amongst other cottage garden type plants. Thanks Kaveh, you are so lucky to first, be able to grow all of these, and second, because you are close to Annies Annuals! Your blog is why I ordered from her this year - the plants just came in, and I was so blown away that I just placed another order for two boxes more! I can't believe that I am ordering annuals, but here in New England, pre-started annuals of some species like those that grow in cool California can only be grown between late March and the end of May, so we need to order them somewhat grown. It really lovely and pretty flowers.Different colour of flowers plants are so beautiful look in the gardens.To show flower in the article look awesome. Glad to be an enabler! Not that you need much help in that department! My friend Dave grew P. commutatum in Connecticut and said it did really well for him. I'm not sure if it becomes quite the beast it does out here but that is one you may have particular luck with. I believe he said it lasted quite a while even on the east coast which is nice compared to the more ephemeral poppies. Sadly the weather has not been kind so far to most of my California annuals but we are supposed to get some rain this weekend so maybe there is hope for them. The Mediterranean and S. African annuals are looking pretty good though. Great to hear, Kaveh - about the fact that Annie's Annuals does ping you when you click on the wish list items. I never bothered, but I secretly wanted to! A nice primer. The first P. somniferums are blooming here now. Our Deep South climate calls for slightly different methods. We live in the Florida panhandle, can we grow poppies here? I love them. I would appreciate an answer. Thank you. Matt: I'd like to plant an assortment of poppy seeds in my cottage garden in Hull, MA. Do I have to wait until spring or can I plant them now? In New England I have had great success with P. Setigerum; they are weed-like in their hardiness and pop right up year-after-year. My garden is between zone 5 and 6A. The only place I get a fair amount of sun is on my deck. Can poppies grow in pots? Would they be alright with just afternoon sun? Thank you for your well-written article. Thanks so much for this information. I live in Zine 7 in NC and ordered poppies from Brecks last year. They were planted in the fall and now I am struggling with these plants. The flowers are rotting before actually blooming, they are much larger than I thought so the have become very crowded with my other plants. So with this info I've learned they don't like the fertilizer and the rain that we've had. I'll just let them alone and then decide what to do later in the season. I did have one huge orange flower but it only lasted one day, which was disappointing. I'm a relatively new Gardner and like planting flowers that I can cut to have in my house. These poppies are more trouble than I've bargained for. But, we'll see! Thanks! 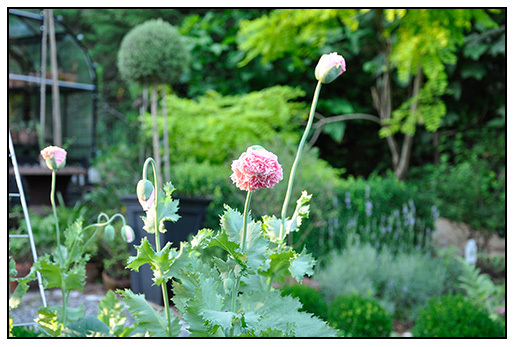 I'm also wondering if I'll have any success growing poppies (starting them in containers) in late June in zone 7A (Martha's Vineyard). My daughter brought me poppy pods (no one has mentioned pods?) from Bavaria (loved the packaging! )that we think are the California poppy type. I found a Papaver variety along the Canadian Pacific railroad tracks in BC Canada I call "Railroad Red". It's blooms last and are like giant Carnations! I've given the seed away inside BC and Alberta, but unfortunately mailing seed into the USA is now a big no-no. Thompson & Morgan has such a huge demand in Europe for their seeds we no long get them either, even though their distributor still has them on their website. I wish I could upload a photo of these beauties!! A Coastal California Garden in Boston? Maybe.